Straight from the Young Justice: Outsiders at San Diego Comic-Con international, DC Entertainment has released the first Young Justice: Outsiders trailer! Check it out in the player below! The brand new poster for the third season has also debuted including heroes Nightwing and Superboy, along with villains Vandal Savage and Darkseid (whose ominous alliance was teased in the final moments of Season 2). Other heroes set to appear in the series include Static, Kid Flash, Robin, Wonder Girl, Spoiler, Blue Beetle, Thirteen, Arrowette, Arsenal and Beast Boy. 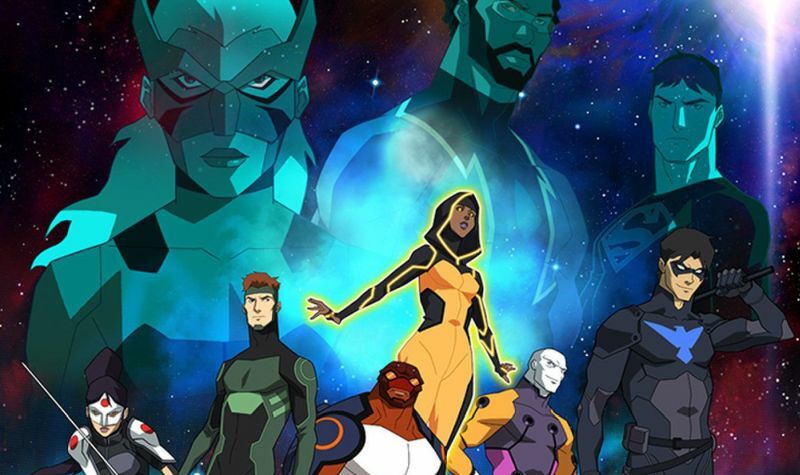 Young Justice: Outsiders will be coming to the DC-branded digital service, DC Universe.